The overriding aim of democratic socialist strategy is to weaken the power of business, before breaking with capitalism entirely. It’s time to start planning for victory. In a recent article, Mio Tastas Viktorsson and I revisited the Meidner Plan — the famed framework in 1970s Sweden that called for a percentage of each company’s profits to be funneled into socially owned “wage-earner funds,” thereby transferring ownership of capital to the public at large. We argued that a revised version of the plan could help attack wealth inequality today. In subsequent discussions with friends and colleagues, three main questions arose. First, how did such an ambitious plan become imaginable in Sweden? Second, how can we reach such a point today? And finally, how can we ensure that any similar effort in the future can succeed? This set of questions gets at the heart of democratic socialist strategy. If our aim is to weaken the power of business before breaking with capitalism entirely, we have to be deliberate about our strategy, learn from the opposition, and avoid historical missteps. Capital may have inordinate power. But labor can still win the day. The Meidner Plan was the product of an exceptionally strong social-democratic movement and a global economic order that afforded national governments significant flexibility in setting policy. 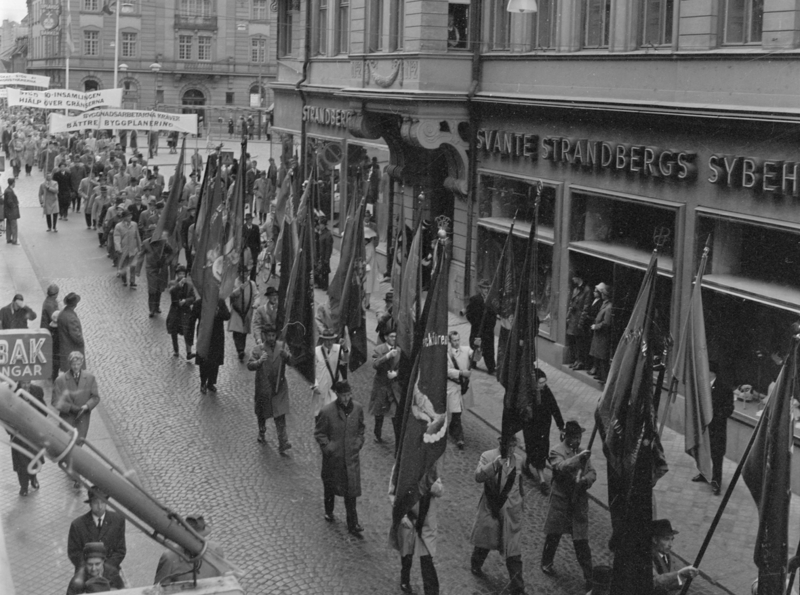 In the 1970s, the Swedish Social Democrats — the political arm of the labor movement — had been in power for decades. Wages were enforced through national collective bargaining. Recently passed co-determination laws granted unions a greater say in the workplace. By the end of the decade, nearly 80 percent of Swedish workers were union members. Like most advanced capitalist countries at the time, Sweden also imposed capital controls, enabling the country to manage its exchange rate and implement economic policies with less fear that capital would flee. In short, workers were in a position to demand that political leaders go further than the constraints of a capitalist economy would allow. The Social Democrats nominally supported the Meidner Plan, which had been developed by labor economists Rudolf Meidner, Anna Hedborg, and Gunnar Fond. But Prime Minister Olof Palme and Finance Minister Kjell-Olof Feldt opposed it in private and, in the face of fierce business opposition, stripped it of its radical elements. While a version of the plan passed in the 1980s, the legislation was so weak that it posed no real threat to capital. Sweden was a country where social democracy had incubated both a social movement and a moderate establishment, and this proved to be the plan’s downfall — capital does not allow social democracy to remain an establishment for long. Once the business community organized en masse, they didn’t have to turn off the investment pump — leaders like Palme had already retreated. They proved themselves more committed to the status quo than to stripping capital of its fundamental prerogatives, no matter how slowly. On one level, it’s accurate to describe the Meidner Plan as a failure. But it was a political failure — a victim of insufficient class power rather than technical flaws. It remains an excellent source of inspiration for planning an important phase of democratic socialists’ program — the transfer of capital to public ownership. What we need is a viable way to ensure that such a transfer can be initiated and completed before the inevitable blowback defeats it. And that’s where the “Kalecki point” comes in. In a famous 1943 essay, Polish economist Michał Kalecki laid out his concept of the “political business cycle” — a phenomenon in which political actors would change policy in response to shifts in economic conditions, particularly unemployment. This plays out in both the short-term and long-term. A long-run cycle is bounded not by a boom and bust, but by grand, lasting shifts between the power of capital and labor — think the New Deal, the rise of neoliberalism, or the creation of the Swedish welfare state. The most pro-labor point in this long-run cycle is what Peter Frase has called the “Kalecki point” — the moment where the strength of labor threatens to end the power of private capitalists entirely. The peaks and troughs of the short-run cycle, meanwhile, represent opportunities for classes to promote their interests — to offer pro-labor or pro-capital shifts in policy as solutions to economic realities. If there’s high unemployment, for instance, should we bring it down by reducing wages, or investing in new industries? If there’s low unemployment, should we control inflation through collective bargaining agreements, or monetary contraction? The reforms we need right now are those that put us on the road back to the same kind of crisis the Swedish labor movement forced in the 1970s. Resolving things in our favor this time around would be difficult, no doubt. But our task is to ensure that when the Kalecki point is reached, we have the political, economic, and social institutions to overcome capital’s inevitable fightback. In 1977, two years before Margaret Thatcher’s victory in the British elections, Conservative member of parliament Nicholas Ridley drew up a proposal to break the power of the country’s labor movement. Three years earlier, the National Union of Mineworkers (NUM) had inflicted a crushing political and economic defeat on Edward Heath’s Conservative government. Heath had laid out the stakes ahead of the election: “Who governs Britain,” he asked the voters, “the unions or the government?” The voters sided with Labour. The “Ridley Plan” was crafted to prevent that question from having to be asked again, using mass privatization as the spear tip. After Thatcher came to power, her administration attacked the NUM — but not immediately. Her entire first term, she avoided a decisive confrontation with the miners’ union, backing off a proposal to close twenty pits in 1981 and accepting a pay rise of 9.3 percent to avert a strike in 1982. Meanwhile, monetary contraction sent unemployment skyrocketing — from 5 percent before Thatcher took office to 12 percent during the strike. The Ridley Plan had called for the government to begin its program of privatization slowly, and for labor opposition to be broken through a carefully picked conflict. When the miners went on strike in 1984, the government, following the Ridley’s blueprint to a T, stockpiled coal and prepared for strikebreakers to replace those engaging in solidarity strikes with the miners. The strike became a cause du jour — Maggie against the miners. But the government’s patient strategy paid off. The footage of sullen, dejected miners returning to work was all the Conservative government needed to ensure their privatization agenda was not blocked by mass industrial action. Coal would eventually be privatized — but not before water, gas, rail, airways, telecoms, buses, steel, and countless other publicly owned assets were all sold off. Simply put, Thatcher’s government used the short-run Kalecki cycle to its advantage. In response to high inflation, it adopted monetarist policies. 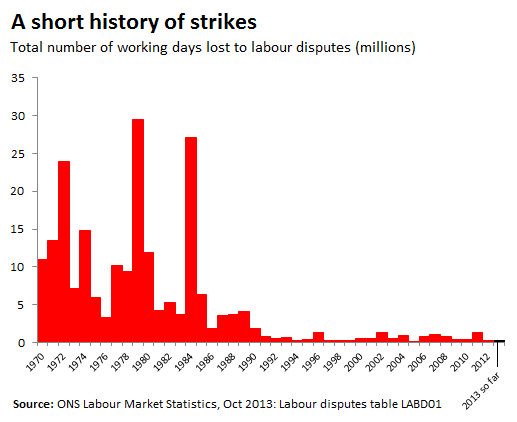 These measures drove up unemployment, which was then used as a threat to break the back of the unions. Once this had been achieved, the government stimulated (unequal) GDP growth through a fire sale of national assets and high-income tax cuts. A comprehensive plan — outlining what should be done, the order in which it should be completed, the potential threats to its advance, and the strategy for responding to organized opposition — was invaluable for the British right. We need one of our own. The 2017 Labour Party manifesto proved that an ambitious left-wing agenda can pay electoral dividends. It also stands on its own merits as a radical policy document, containing many important ideas for a first-term socialist government. And crucially, for our purposes, the Labour left assembled a policy agenda that would radically improve the prospects for any future attempt to confront the question of capital ownership. The manifesto — and the reports which contributed to it — are worth examining closely to see what could be adapted to the American context. We need left politicians to win elections, and we need a politics that can set them up to keep winning elections. In order to do so, we have to restore confidence in the public sector — as an owner, an investor, and a provider of services. One of the most promising aspects of the Corbyn agenda is its renewed emphasis on these themes. Drawing on the works of a new generation of economists, the party has fully committed itself to an industrial strategy based on what Mariana Mazzucato calls the “entrepreneurial state” — a government that strategically invests in research, development, infrastructure, science, and technology, keeping the profits and taking credit for its actions. There’s an extremely attractive political argument here: our government shouldn’t be giving out any money to private industry without getting a fair share of the returns. While the US federal government spends a lot on R&D — over $150 billion a year despite historic cuts in the last decade — that number should be higher, the focus should be reoriented toward nonmilitary purposes, and the proceeds should be retained through ownership of shares. The “Alternative Models of Ownership” report, commissioned and endorsed by Labour’s top economic team, represents an even more ambitious attempt to challenge private control of industry. It calls for a massive expansion of cooperative, municipal, and central government ownership. This is readily applicable to the US. Where public services such as water, electricity, or transport are privatized, we should return them to social ownership — whether that be cooperative, municipal, state, or federal — and ensure that they are run democratically, in the public interest, with public investment. Relatedly, social programs should be universal and designed to be popular with voters — free of innumerable fees, credits, means tests, and charges that complicate messaging. When it comes to decommodification and investment, our mantra should be: keep it simple, and take credit. That’s why things like a universal child allowance, a universal basic income, free childcare, free health care, and free education are so desirable. Working-class voters who feel that government has failed them will be more willing to give full-throated democratic socialism a try after we make their bills disappear. Pushing popular, decommodifying social-democratic reforms is how we can give ourselves time to carry out the rest of our agenda — while alleviating poverty and giving people more control over their lives in the process. The United States clearly needs deep reforms in this area. The goal should be to massively increase union density in a short period of time, while establishing bargaining units that can take a role in overall economic governance as we begin to reform ownership of the economy. Immediate improvements could be made by staffing the Department of Labor, National Labor Relations Board, and any other relevant federal agencies with pro-labor personnel. This would need to be supplemented by extensive education efforts to combat decades of anti-union propaganda, as well as grassroots organizing (which should be encouraged through state policy when possible). Next, we would need to improve the landscape for labor through bold legislative action. A far-reaching bill could contain several pieces: First, sectoral bargaining units and co-determination (as pursued by Labour in the UK and as exists in much of Continental Europe) would need to be established. In order to prevent undercutting, these units would set floors that would be legally enforceable. The goal would be to promote solidarity between workers across entire industry sectors, rather than just in individual workplaces or firms. This is especially important in cases of industrial action, because it creates pressure from those dependent on that industry to settle the issue. The legislation would also need to instate card-check recognition, ban state right-to-work laws, permit secondary strikes, reestablish the pre-1947 requirement that employers remain neutral (banning anti-union messages in the workplace), and generally remove as many restrictions as possible on the right of unions to organize, agitate, and act in the interests of workers. This would have two benefits. Most obviously, it would strengthen the independent power of workers to make demands on capital. But it would also bolster our supporters within unions by showing that a radical agenda pays dividends. With left politicians, democratic unions, and progressive social movements all linking arms, we could drive radical change at every level, from the bottom to the top. The public sector and labor market reforms listed above are not an exhaustive list, but together they would set us on a course of rising labor power and wages, and extremely low unemployment. In other words, they would set us on a course toward a Kaleckian crisis — a crisis for which we must be ready. In this respect, the Labour leadership’s active preparations for a capital strike are extremely welcome. Shadow Chancellor John McDonnell, for instance, has spoken openly about the need to mobilize the populace in the event of an investment strike — using popular power to fend off corporate power. Labour’s youth branch has come out in favor of capital controls and nationalizing financial institutions, backed by union representatives. Discussing this kind of confrontation is vital to prime the public for such a conflict. For starters, we should have a capital control strategy ready to implement. We also need plans for breaking limited and full-scale investment strikes on a domestic level, maintaining public support through times of adversity, and overcoming institutional resistance — whether from bureaucracy or judges. A move by the United States to revive capital controls and spearhead the creation of a new Bretton Woods system would reap benefits for many governments around the world. “Financial repression” represents political liberation — the revival of the right of elected governments to govern their countries while participating in the world economy. America has one special advantage in adopting such a strategy. It is the global economic center, which makes it difficult for private to capital to coordinate divestment from its economy. A 2014 IMF working paper found that healthy economies with strong institutions can still implement effective “financial repression” — but cautioned that weaker capital outflow controls that don’t operate an “everything not permitted is forbidden” principle are less likely to work. Erecting barriers to capital outflow are not foolproof, however, and this is where a few other policies come in: wage-earner funds, strategic nationalization, and public investment mechanisms. Breaking a capital strike without establishing long-term public control over capital simply guarantees the crisis will repeat itself down the road. Instead, the state should use the tools at its disposal to transfer ownership of the economy into public hands. It should do so responsibly, and with a view toward ensuring the public sees the benefits directly. It should take credit for its achievements and assign blame to those who inflict economic harm during a capital strike: capital owners. Mapping this out ahead of time, rather than scrambling to respond when faced with the choice of retreat or confrontation, gives us the chance to build support for a comprehensive approach to capital redistribution — and to ensure that we have enough political and economic momentum to see it through. Democratic socialists, social democrats, progressives, and even many self-identified liberals are all in favor of beating back the tide of neoliberalism and the far right. But in order to prevent ourselves from ending up in the same cul de sacs, and in order to truly tackle inequality, we must confront the power of capital. Acknowledging the immense obstacles to attacking wealth inequality and capital ownership is important. More often than not, capital has come out the victor when the economy reaches a “Kalecki point.” But acknowledging reality isn’t grounds for accepting that capital markets should determine the bounds of acceptable policy indefinitely. The status quo is both undemocratic and morally repugnant. Three hundred thousand Americans will die due to lack of health insurance over the next decade. A sickening 15 million children live below the federal poverty threshold. Immense racial wealth gaps persist. People with disabilities suffer crushing poverty. And, worst of all, escalating climate change will make life more difficult even after we tackle the injustices of the present. The only long-term alternative is to take control of our economy — and the moral imperative is to do so as soon as possible. The future can be ours.